So I finally get to shop for my wedding dress! I have only watched the shows for forever. The Bride shows up at the store with her entourage. She meets her stylist. She gushes over her fiancé. They talk style, silhouette and price point. 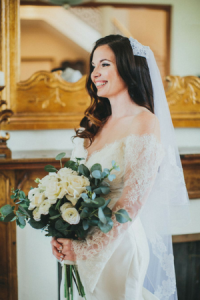 The Bride sits anxiously in her dressing room as the stylist goes on the hunt for that majestic article of clothing, that dress that will magically make her teary and give her all the feels because when she puts it on she has to catch her breath knowing THIS IS THE DRESS. We started the hunt a couple months ago. 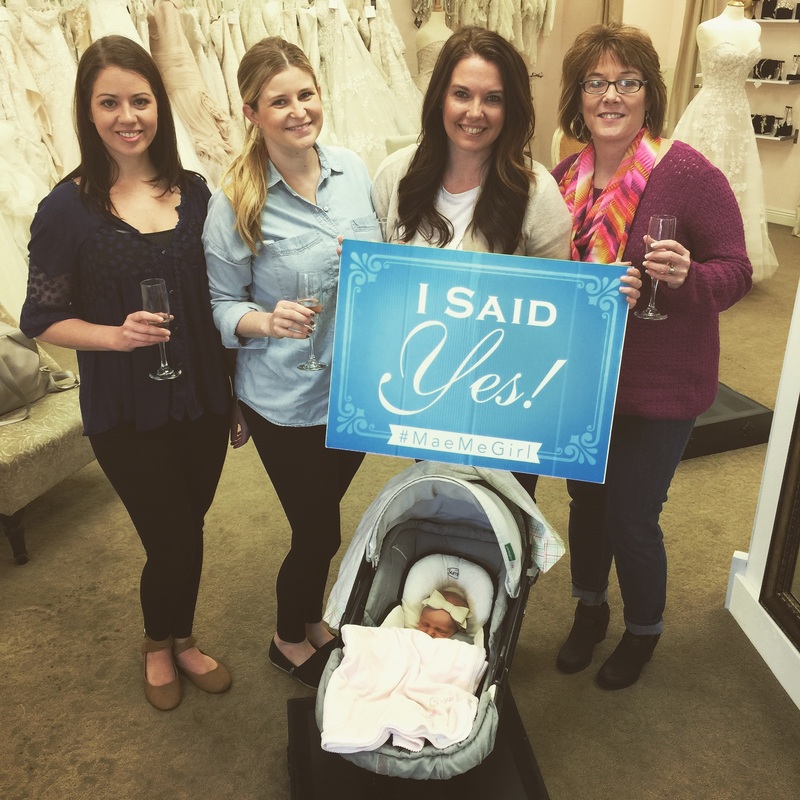 I made a few appointments at a few bridal boutiques I had been to before with friends. I knew the style I was going for and my price point. I also knew that I was looking for something kind of specific so I might not find what I was looking for that day, which I was fine with. We have time. I met my mom at the first spot. I met my stylists. I gushed about Matt a bit. We talked style, silhouette and price point and we began to pull dresses. So far, everything was just as I imagined it. I went into the dressing room where the wall was covered with dresses. Dresses that might be the dress of my dreams. I’m pretty much on cloud nine at this point. I step into dream dress number one… and quickly woke up. I was not getting that sucker over my hips. This continued to be the case with dress numbers 2, 3, 4, 5 and 6. Now for those of you who are unfamiliar with how bridal sizing and shopping works, I’ll give you a brief lesson. Most of the time, you are trying on sample gowns the store gets from the designer and then the dress is ordered to your specific measurements. Bridal sizing is European. Therefore, a bridal size 16 is more like a size 12; a bridal size 10 is more like a size 6. Make sense? Now I knew all this. I knew not to get scared when they said “You’re a size 14” because I know that’s a size 10 and I’ve got hips! I’ve had them for a loooong time. They are here to stay. So I was prepared for that. What I was NOT prepared for, was for the store to cater to women size 8 and below, for the most part. The average woman is a size 12-14. So tell me how on earth the average woman is supposed to purchase your gorgeous wedding gown Mr. /Ms. Designer, if we can’t even try it on. Wedding gown shopping is supposed to be fun. A lot of women, like me, dream about this experience for a long time. You’re supposed to feel beautiful and confident in your wedding gown. Well I did not feel those things. I felt embarrassed and ashamed and disappointed. Over and over again having to say, “This doesn’t fit” or “I can’t get this one on either.” it was mortifying. Now, I have spoken to some bridal shop professionals and for the most part they don’t have any say so over what sizes they receive from the designers, so this post isn’t meant to assign blame to anyone. This was just my experience, and I still can’t believe it. Since then, I have found a few stores that do carry larger sizes and luckily found one store, shout out to The Bridal Boutique by Mae Me, that was able to give me my dream dress, which is a story within itself that I’ll have to share after the wedding (can’t give too much away). I have in fact fallen in love with something, but of course you will have to wait and see!